SpokeSixteen was founded to answer the question ‘where do I start?’, addressing the need for a greater offering of cycling coaching for novice riders. It is those wanting to go from the sofa to the saddle on the country’s bike-paths, lanes or roads. It was also founded from a need for a wider availability of training and nutritional advice for experienced cyclists wanting to prepare better for rides like the Peaks Challenge, Oceanway Ride, Bupa Tour Down Under, Round the Bay, or Amy’s Gran Fondo. Riders targeting a specific finish time by climbing more efficiently or maintaining higher speeds for longer by correct preparation and race-day nutrition. Our work with experienced cyclists is done with the Track Cycling Academy. Director Michael Jordan’s cycling history began in 1988 when frames were steel and hand-made. 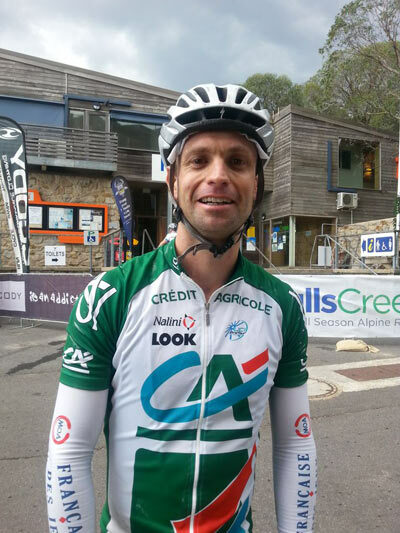 He is a Cycling Australia accredited Road and Track Coach, and an active cyclist, recently riding in the Peaks Challenge events coving 235km in a day, claiming his sub-ten hour jersey. His degree in Sports Science was studied under Prof Craig Sharp, co-founder of the British Olympic Medical Centre, and his research project was Nutritional Requirements for Multi-Stage Cycling Competition comparing bio-chemical requirement with cyclists’ racing needs. This was combined with the physiology of elite athletes, Biomechanics as well as studying paediatric physiology in sport. Michael is a coach of athletes worldwide with the Track Cycling Academy, and locally the Queensland Junior Emerging Talent Squad at the Anna Meares Velodrome. Michael presents Cycling Australia’s Let’s Ride and She Rides programmes, as well as with Soldier On’s current and ex-serving Australian Defence Force personnel. He also has worked with a three-time Paralympic athlete in his preparations for Paralympic competition and GP referral patients to assist in their return to better health. In 2013 Michael cycled 1600km in 8 days, from Brisbane to Townsville to put this all to the test. Fresh air and simplicity is key to our motivation. We ride for the adventure and pleasure of the ride itself. You can plan for a goal if you would like, we can help you to get there, as all approaches are welcomed and catered for at SpokeSixteen.